Intramural activities are fun, creative, and active course offerings that happen right after school for children ages PreK through fifth grade. Intramurals are just a little something extra. Best of all, they happen right here in our backyard. 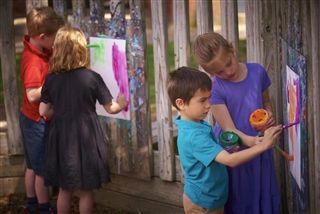 The Lexington School offers visual, music, and theatrical art options for just about every age group during the fall, winter, and spring season. We follow two goals: to foster creativity among children and to expose our students to the wide range of creative activities our community has to offer in the arts. The after school Extended Day program is offered each school day with the exception of half-days. The goal is to provide a flexible, activity-based program for preschool through first grade and a 20-minute study hall and play time for second through eighth grade. Study Clinic is an after school program offered to fourth through eighth graders designed to help reinforce the efficiency, organization, and success of our students. The program gives students assisted time to complete their homework. Intramural activities are fun, creative, and active course offerings that happen right after school (3:30-4:30 P.M.)for children ages PreK through fifth grade. Intramurals are just a little something extra. They exercise the body and the brain, they teach something new, and they are a great way to dabble without too much long-term commitment. Best of all, they happen right here in our TLS backyard. Intramural programs will change each semester to include new and different fun for preschool and lower school children. Watch the intramural calendar and offerings above to see the rotating fun! Feel free to email Jonathan anytime with questions. The Lexington School offers visual, music, and theatrical art options for just about every age group during the fall, winter, and spring season. 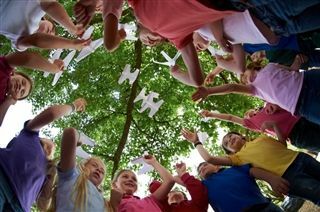 We follow two goals: to foster creativity among children and to expose our students to the wide range of creative activities our community has to offer in the arts. This program also creates a bridge between creative professionals from the local community and students of all ages at TLS. The funding for these programs is covered by the generous proceeds from The Simpson Family Art Endowment reducing the parent cost to a $20 registration fee. Want to see the program in action? Here's a VIDEO PLAYLIST that shows you a little bit more. The Extended Day Program includes a morning drop off service beginning at 7:30 A.M. and after school child care. Students who arrive before 7:50 A.M. report to the appropriate area for the supervised, before-school program. Preschool students meet in the Dining Hall. Lower school students meet in the second grade commons area, and middle school students gather in the library. The after school Extended Day program is offered each school day with the exception of half-days. The goal is to provide a flexible, activity-based program for preschool through first grade and a 20-minute study hall and play time for second through eighth grade. The service is available on an as needed basis for $10 per hour. In order to comply with state regulations, students in Acorns, KinderKlasse, Prekindergarten, and Montessori may not attend extended day for more than 10 hours per week (this includes before-school and after-school care), so please plan accordingly. After 3:15 preschool students not picked up in car line may be picked up in the preschool Extended Day room. After 3:30 the second through fifth grade may be picked up in the Library and the middle school in the Middle School Commons. The charge for Extended Day begins to accrue at 3:15 for preschool and 3:30 for all other grades. The athletic department has a separate service for those attending athletic practice and games. When pick-up cannot be arranged immediately after these obligations, a charge of $5.00 per half-hour will be incurred. Students not picked up by our closing time of 5:30 P.M. are charged an additional $1 per minute. Billing will be mailed out monthly by our Business Office, and all payments are to be made to The Lexington School. The safety of your children is our first priority. Students should be picked up through the main entrance. To reinforce their safety, you must sign your children out so that we know they are leaving with the proper person. They may be signed out either at the front desk or with the Extended Day Staff. If anyone other than a parent is picking up your child, please send written permission. Permission information is to be given to the classroom teacher for Preschool and Lower School and to the advisor for Middle School. Identification will be checked. Middle school students who want to leave Extended Day to attend an after school athletic event or other school sponsored activity such as Fall Festival need written permission to be released without a parent. This can be in the form of a note sent with the student to be given to Mr. Jonathan Herrington, Director of the Program. An email or text to Mr. Herrington would also be acceptable for release. Verbal permission will not be accepted. Lower school and preschool students must be picked up/signed out by the responsible adult. 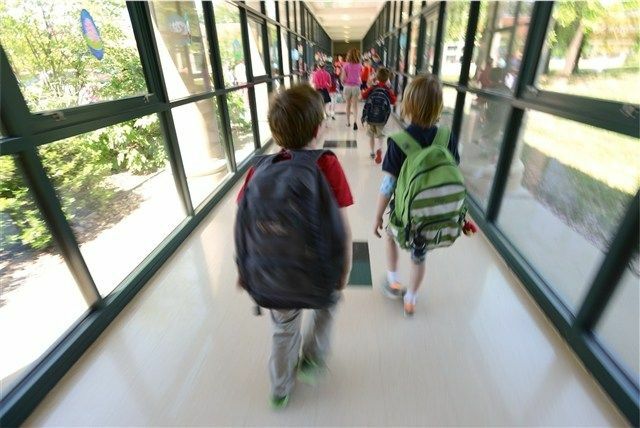 The only exception to this is if a lower school student is being released with a middle school sibling, parents may include the lower school student in the release note and then he or she may leave with their middle school sibling. Study Clinic is an after school program offered to fourth through eighth graders, from 3:30-5:00 P.M. Monday through Thursday. This program is designed to help reinforce the efficiency, organization, and success of our students. The program gives students assisted time to complete their homework. It is a supervised time for the students to get their homework completed with a teacher available to help. The teacher-to-student ratio is kept low so that individual needs may be met. This program is staffed by teachers. Parents are encouraged to have conversations with the study clinic staff about their child’s study habits and any specific expectations for their time in study clinic. For example, some students may need help with their English, some Math, some organization, and some just need a quiet place to get their work done. The study clinic staff is in constant contact with the lower and middle school teachers so they are aware of upcoming projects, quizzes and tests. The parental role of homework monitor is reduced, and the students leave with much if not all of their work done so that they are able to pursue other interests. We invite parents and students to consider Study Clinic. Children may attend any number of days in a given week. Some students come all four days that the service is offered, others come a couple of days a week, and some come on an as needed basis. Parents do not have to sign up for the service; it’s available on a walk –in as well as a regular basis. Students are picked up in the second and third grade common areas and walked to Study Clinic, which is conducted in Mrs. Johnson’s room. They are then walked up front at 5:00 P.M., or parents are welcome to come to Mrs. Johnson’s room to pick them up. Parents may also have the front office call the rooms to have the student sent up to the front office. The cost is $18 per day and is billed monthly through our Business Office. If you have questions about our program, please contact the Director, Mr. Jonathan Herrington.